L/Cpl. G F Woodcock 12th Batt. Gloucestershire Regt. Private W M Orchard 1/5th Batt. Gloucestershire Regt. Private S F Reed 1/5th Batt. 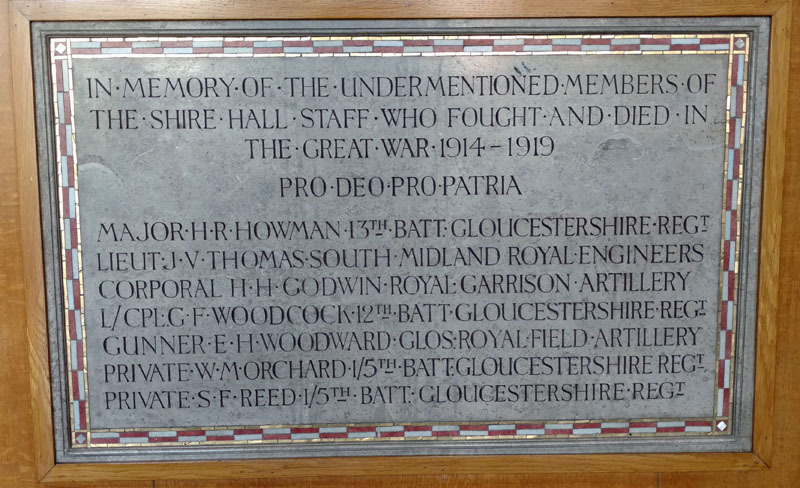 Gloucestershire Regt.